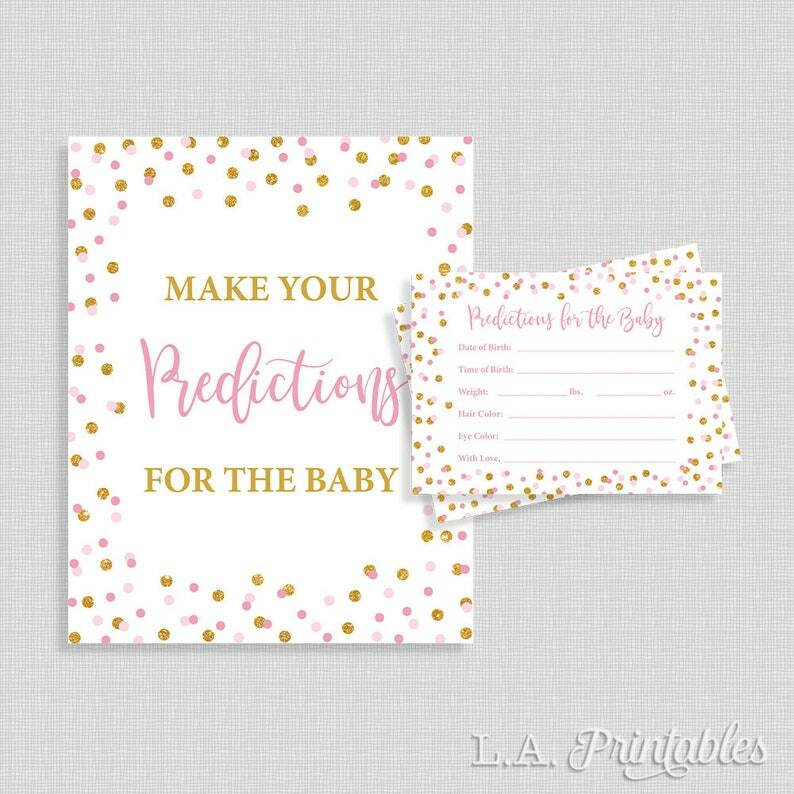 Let your guests make their predictions for the baby with our "predictions for the baby" cards. Guess the baby's birthday, time of birth, weight, hair and eye color. Game Cards AND Game Sign (JPG & PDF files). Each card measures 5x7 inches with 2 cards per 8.5 x 11 inch page. Game sign is 8x10 inches.